Earlier today, the Jesuit USA Northeast Province of the Society of Jesus released a list of Jesuits against whom there are credible allegations of sexual abuse committed against minors. Among those accused are five Jesuits who, over the past six or more decades, were assigned by the Province to serve at Fordham University or Fordham Preparatory School, which separated from the University in 1970. The USA Northeast Province includes the former New York, Buffalo, and New England Provinces. As the sexual abuse scandal that has engulfed the Catholic Church unfolds, it is incumbent on all of us who are leaders at affected institutions to support the survivors and to acknowledge the inalterable harm that was inflicted on these brave survivors and their families. They are and will remain the University’s first and central concern. We must also ensure that policies and procedures are in place to prevent this from ever happening again. To that end, the Board of Trustees has created an independent Advisory Committee of lay trustees – excluding Jesuit members of the Board or management at Fordham – to review allegations of sexual misconduct against Jesuits. In particular, the Advisory Committee has been tasked with reviewing and analyzing allegations of abuse by Jesuits who were employed by or otherwise associated with the University at the time the alleged misconduct was committed, overseeing the management of claims concerning such abuse, and examining any appropriate preventative and remedial measures to address allegations of such abuse. In connection with the University’s efforts in this regard, and following the Northeast Province’s release of its list of credibly accused Jesuits, we are also releasing a list that includes four additional names of priests who have been identified by other Jesuit Provinces as having similarly credible allegations against them, and who were associated with the University or Fordham Prep prior to its separation from the University in 1970. We also note that some of the names identified on the Northeast Province’s list are of priests who were not associated with the University or Fordham Prep prior to 1970 but who resided at Murray-Weigel Hall, a Jesuit nursing home that is owned and operated by the Northeast Province and is located on property adjacent to the University’s Rose Hill Campus. Fordham University has not historically been empowered to decide who is assigned to reside at Murray-Weigel Hall. Nonetheless, at Fordham’s insistence, the Northeast Province has recently removed all men with known credible accusations against them from Murray-Weigel Hall. In addition, some names on the Province’s list may include individuals who were associated with Fordham Prep after its separation from the University in 1970. The sexual abuse of a minor or other vulnerable person by someone in a position of privilege and authority is an unspeakable violation of human decency and completely antithetical to the mission and ethos of our University. While none of the accused priests are involved in Fordham University’s student life or operations today, we are horrified that some of these alleged crimes were committed when the perpetrators were associated with the University or were otherwise in close proximity to our students. Our insistence that alleged offenders be removed from Murray-Weigel is just one aspect of Fordham University’s commitment to protecting our students from potential harm. In addition to the work of the Advisory Committee and the protocols that it is developing, Fordham will report any accusation of sexual abuse of a minor by any member of our community to law enforcement, regardless of its date of occurrence, and immediately remove the offender from any Fordham position they occupy pending the outcome of an investigation. If the allegations are deemed credible, the perpetrator will be banned from campus and from any contact with students. There are a number of resources at Fordham and in the broader community designed to support survivors of sexual abuse or misconduct. 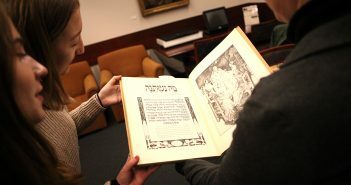 Fordham University’s website and Student Handbook include detailed procedures for reporting sexual misconduct, assault or other acts of violence either confidentially to a counselor, internally to Fordham administrators, or externally to the New York City or Harrison, N.Y. Police Departments. If you have experienced or observed sexual or other misconduct, including unwanted sexual contact, you are encouraged to contact Kareem Peat, Fordham’s Title IX Coordinator, at (718) 817-3112 or titleix@fordham.edu and/or the Province’s Victims’ Coordinator, Kristin Austin, at (443) 370-6357 or UNEadvocacy@jesuits.org. We are heartsick that the shadow of the crisis within the larger Catholic community has been cast upon our University, and deeply troubled by the very real possibility that there are still survivors whose accounts of abuse we have not yet heard. Know, however, that Fordham will take all actions necessary to ensure the safety and well-being of its students – past and present – faculty, and staff, and of course to be responsive to the concerns of parents, alumni and other members of our community. Eugene O’Brien, S.J. At Fordham Prep from 1950 to 1953 and 1960 to 1980, and at the University from 1986 to 1991. 1. What was disclosed by the Northeast Province? On January 15th, the Jesuit USA Northeast Province, a unit of the Society of Jesus, the Roman Catholic religious order that has historically been committed to serving Fordham and 27 other colleges across the country, released a list of Jesuits against whom there are credible allegations of sexual abuse committed against minors. Among those accused are priests who, over the past decades, were assigned by the Province to serve at Fordham University or Fordham Preparatory School, which separated from the University in 1970. 2. What did Fordham University disclose? As part of its commitment to transparency, Fordham disclosed the names of additional Jesuit priests who have appeared on other Provinces’ lists as having similarly credible allegations against them. 3. Are any of the priests still at Fordham University? No. None of the accused priests are involved in Fordham University’s student life or operations today. 4. Is Fordham Prep part of Fordham University? Fordham Prep and Fordham University were founded together in 1841, but the two institutions separated in 1970. Fordham Prep is a college preparatory school and is located adjacent to the University’s Rose Hill campus. The two institutions are governed by separate and independent boards of trustees. 5. What is Murray-Weigel Hall and how is it related to Fordham University? Murray-Weigel Hall is a Jesuit nursing home located near our Rose Hill campus. It is owned and operated by the USA Northeast Jesuit Province. Fordham has not historically been empowered to decide who is assigned to reside there. 6. What does it mean that an accusation has been deemed “credible”? According to the Northeast Province, an allegation is deemed credible if there is a preponderance of evidence that the allegation is more likely true than not after investigation. 7. How is it possible that Fordham was unaware of allegations against Jesuits they allowed to work at its institutions? 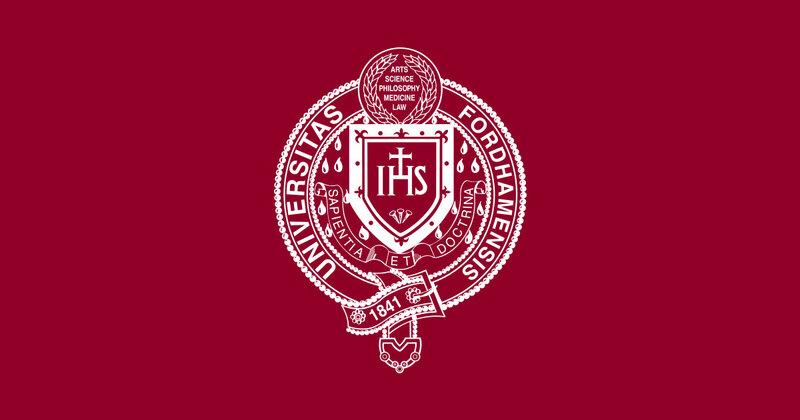 The University was not made aware of the allegations against any of the Jesuits affiliated with Fordham University until after their departures. 8. What steps has Fordham University taken to ensure the safety of its community? Creating an independent Advisory Committee of lay trustees – excluding Jesuit members of the Board or management at Fordham – to review allegations or claims of this nature moving forward. 9. What is the role of the Board’s Advisory Committee? Fordham University is fully cognizant of the shameful efforts to cover up past instances of abuse within the Catholic Church. The Board of Trustees created an independent Advisory Committee of lay trustees – excluding Jesuit members of the Board or management at Fordham – to ensure that a completely independent group will review allegations relating to sexual misconduct. No member of the Advisory Committee has ties to the Province. 10. How should survivors or witnesses at Fordham report abuse? (1) Report confidentially to a counselor. (2) Report internally to Kareem Peat, Fordham’s Title IX Coordinator, at (718) 817-3112 or titleix@fordham.edu. 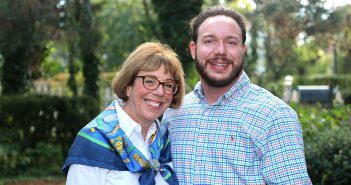 (3) Report to the Province’s Victims’ Advocate, Kristin Austin, at (443) 370-6537 or UNEadvocacy@jesuits.org. (4) Report externally to the New York or Harrison Police Departments. 11. What resources are available to survivors of sexual abuse at Fordham? Students may confidentially seek support from a clinical counselor at Counseling and Psychological Services, a pastoral counselor in Campus Ministry, and/or a medical provider in University Health Services without filing an official complaint. Additionally, Fordham’s free and confidential Counseling and Psychological Services (CPS) is a comprehensive mental health center that is dedicated to promoting the emotional and psychological health and wellness of our students.